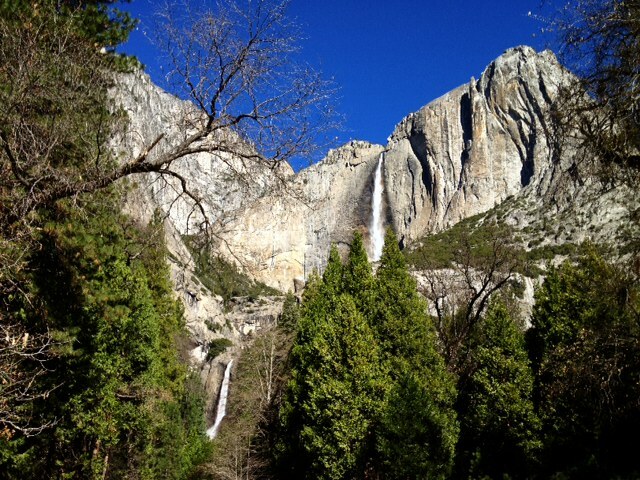 Lower and Upper Yosemite Falls, March 2015. And then there is Yosemite National Park. 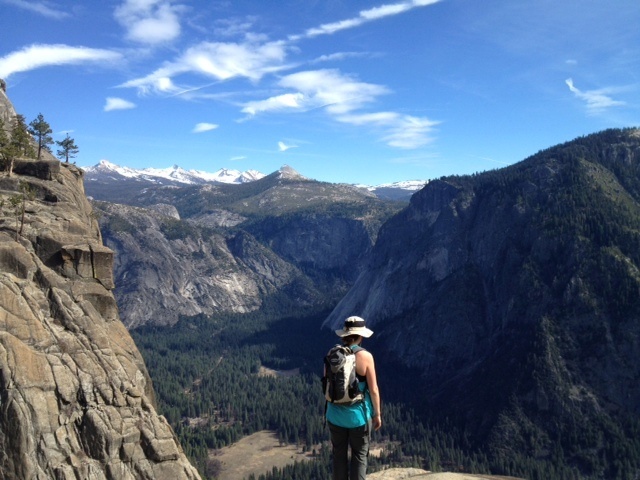 What can be said of Yosemite? What can be said that has not already been said ad nauseam? I have been there a couple of times since I began this weblog, but I never mentioned it nor posted a photo because it seemed cliched to do so, a snapshot of Yosemite Valley a cliche on film. It is so near perfect, and has been photographed so many times, anything I thought to offer up seemed superfluous. The wilderness park’s iconic characters, whether waterfalls or granite monoliths or grassy conifer-framed meadows, have seemingly been photographed in every light at every season from every angle and described with every word and turn of phrase conceivable. 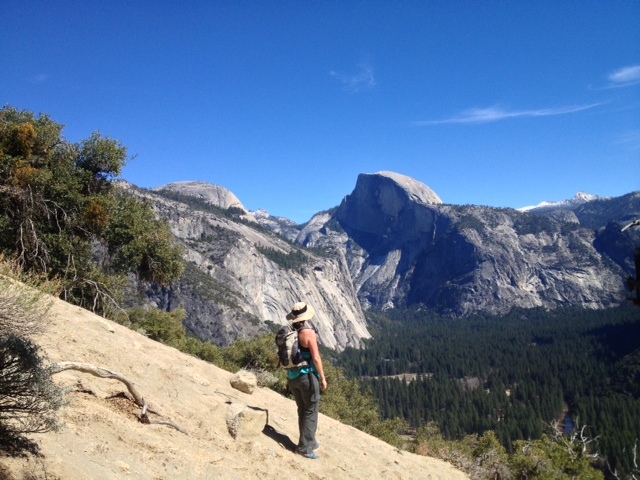 I do not want to add to the excess in an attempt at translating into language the natural majesty of Yosemite. And I doubt that I could cobble together a fresh and original string of words with a few images that was worthy of the place. 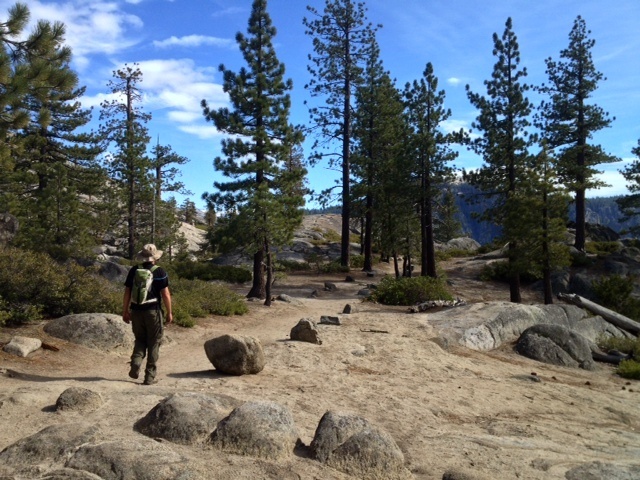 Here I offer a few snapshots from the Yosemite Falls Trail. Round trip it’s 7.2 miles with at least 5400 feet of elevation gain/loss. There are 66 switchbacks in the first mile alone! The trail climbs steep talus slopes up a wall of granite. From the valley below it looks impossible that a trail leads up the mountain. 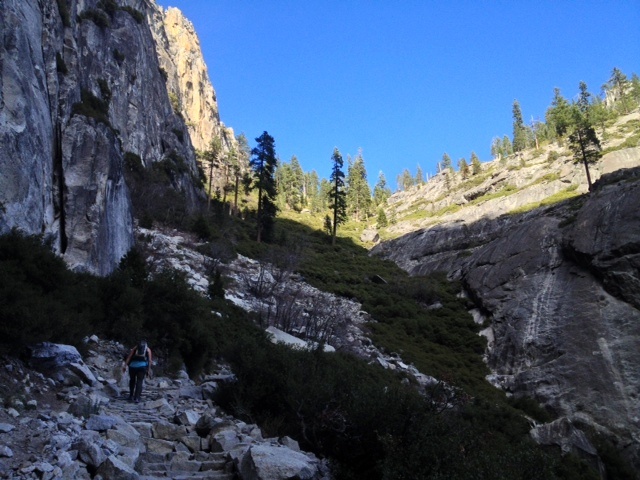 Mrs. Elliott heading into yet another series of switchbacks as we near the top of Upper Yosemite Falls. 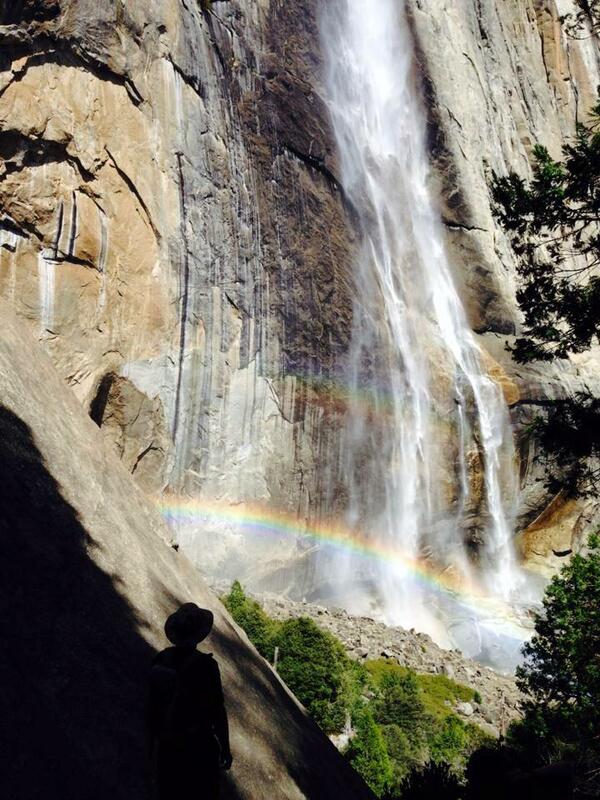 Double rainbows at the bottom of Upper Yosemite Falls. Topping out and heading toward the precipice. A pool above Upper Yosemite Falls. 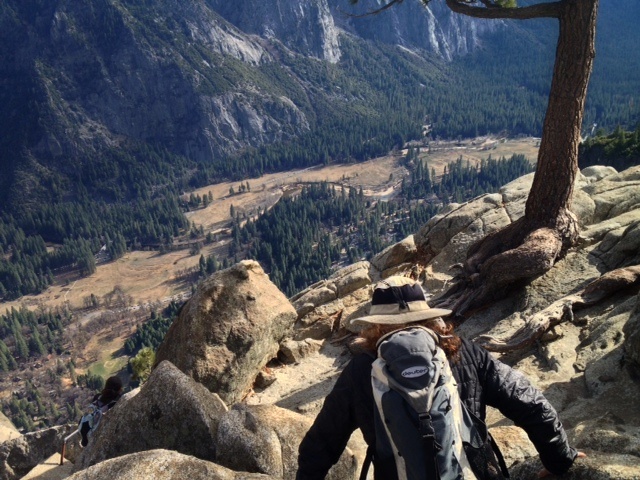 The Mrs. scrambling toward the edge, Yosemite Valley far below. Looking over the edge at Upper Yosemite Falls. 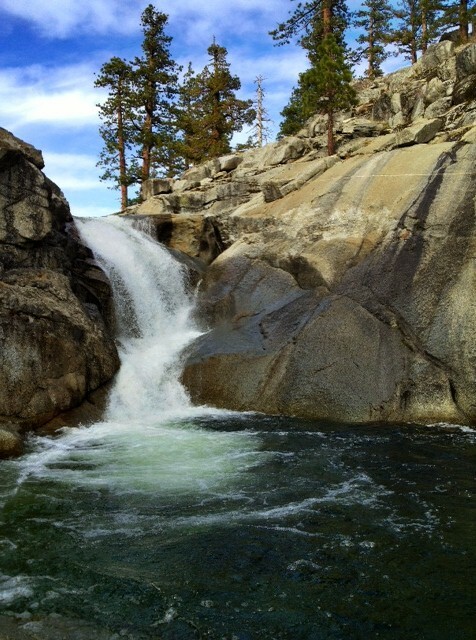 This entry was posted in National Parks and tagged Backpacking, Camping, Hiking, Hiking (2), iPhoneography, Landscapes, Nature, Photos, Travel, waterfalls, Yosemite. Bookmark the permalink. How amazingly fortunate that one can easily see Death Valley, Yosimite, and Sequoia National Forrest over a long weekend. You are so right about words and Yosemite. Photos can also be a cliche too. I have taken some beautiful shots there. When looking at them later, I was looking at shots that I had seen many times before. Thank you so much for sharing your experiences, though. 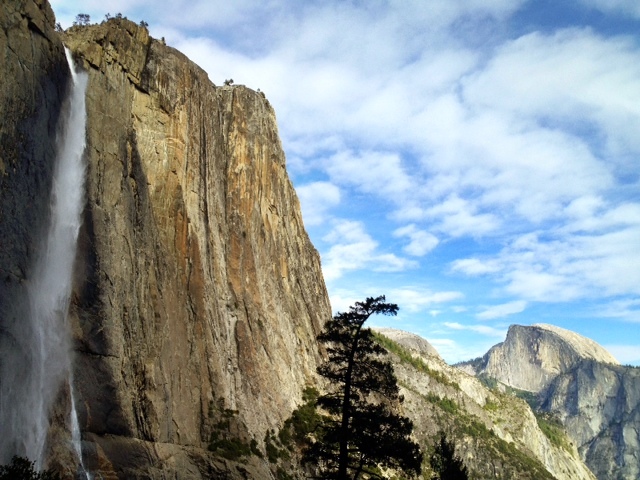 Yosemite may give us cliches, but they are beautiful cliches! Looks like lots of water! Lovely! Thank you. 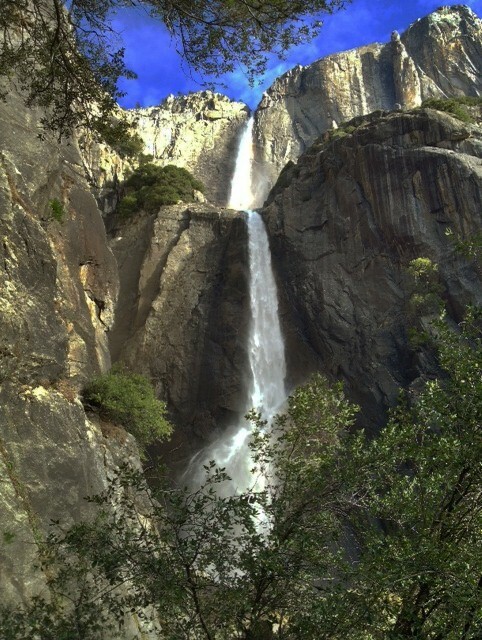 The photos are awesome and who can get tired of looking at Yosemite? I don’t agree that there is an “excess” of photos and descriptions of the more common nature scenes. Each person has the potential to provide a unique perspective. If I’ve seen “all that” then I just move on, but then I see your photos and commentary and really enjoy them. So don’t hold back thinking you might be offering a cliche. You never know who might appreciate your experience (like me).